There was a period a few years ago when I was posting memorials so often that I started to feel as if my blog was turning into an obituary site. It wasn't, of course, but I did worry about the morbid cast that posts were beginning to assume, though I realized it was a period of losses that in various ways touched me personally. I wrote but did not complete memorials to my late and dear colleagues Prof. Clement Alexander Price and Prof. Said Samatar, because of a confluence of issues, among them my health challenges earlier this year, but I do hope to finish the joint post in tribute to both of them one of these days soon. I thought that I should probably post something quickly rather than waiting and mulling when I learned Tuesday about the death from lung cancer of my former professor and thesis advisor, E. L. Doctorow (1931-2015). I had the great fortune both as an undergraduate and a graduate student to study with many remarkable scholars and artists, and E. L. Doctorow--whom I could not bring myself to call "Ed" after graduation, since he would also be "Professor Doctorow" in my mind--was chief among them. He was in fact one of the reasons that I chose to attend New York University's then M.A. program in creative writing; the presence of the marvelous Paule Marshall was another. But before I continue in this vein, let me say a little about E. L. Doctorow's life and work. Doctorow was a Bronx native and a child of the Depression, and both of these facts profoundly shaped his work. One could read his fiction as an extended, multilayered, highly inventive portrait of New York--and by extension, the United States of America--across multiple books, and the failure of Western capitalism, which included his father's business, colored his perspective. His adolescence unfolded during the New Deal and post-World War II period, but the City that preceded this era profoundly intrigued him, as did decades of Modernist writing and political dissent. He was an experimentalist whose work was accessible to all readers, and though an often outspoken writer of the Left, he did not espouse rigid dogmas. In Ragtime (1975), one of the most important and controversial American novels to appear in the late 20th century, these personal threads, filtered through a capacious imagination, combine to weave a strange and dazzling tapestry of a New York in which white immigrants, politicians and socialites, African American protesters, and the burgeoning city itself all become vibrant characters. His melding of the real and fictional in this novel sparked considerable criticism. It would, however, prove influential for countless writers who followed, and suggested a more complex engagement with both history and fiction than one found in the work of many writers of his generation. Ragtime in particular demonstrated this, along with the effects of overlapping but distinctive social and economic spaces, which was true to life in the New York of the novel's era as much as it is, despite growing inequality, today. The leaps were probable for fiction, improbable for reality, but not impossible for either. The Eastern European Socialist immigrant and single parent Tateh, then or now, would face incredible challenges going from the working-class tenement streets to becoming a successful movie mogul and the new husband of the Westchester matriarch, but it would not be impossible; nor should we be astonished that Doctorow, in a 40-year-old work of fiction, indelibly captured the struggles, still ongoing today, by a black man--black people--to be treated with dignity, equality and respect in this society. Mirroring contemporary events, Coalhouse Walker does not meet a pretty end. E. L. Doctorow published 12 novels over his career, roughly one every five years, in the process winning a number of the country's highest literary awards; in addition to Ragtime, which received the very first National Book Critics Circle Award for fiction, his other novels include The Book of Daniel (1971), which explored the Julius and Ethel Rosenberg case; the 1985 novel World's Fair, which received the National Book Award; the acclaimed Billy Bathgate, which also received the National Book Critics Circle Award, as well as the PEN/Faulkner Prize and the William Dean Howells Medal; and his late career masterpiece, The March (2005), which won him his third National Book Critics Circle Award and second PEN/Faulkner Award. His final novel, Andrew's Brain, appeared last year. He also authored a play, Drinks Before Dinner (1978); an assured book of short stories, The Lives of the Poets: Six Stories and a Novella (1984), one of my favorites among his books; and several collections of essays. Before I ever read his work--and Ragtime was on my mother's bookshelves--I saw the movie version of the film. I didn't learn until I studied with him that he hated the movie version, directed by Milos Forman, which was Jimmy Cagney's final screen role, while providing early breakout roles for Howard Rollins, Elizabeth McGovern, Debbie Allen, Mary Steenburgen, and Mandy Patinkin. Other works of his, including Welcome to Hard Times (1967) and Billy Bathgate, also were adapted into films, and he detested those films too; the cinematic adaptations of his work tended not to work, in his eyes. The Broadway musical version of Ragtime, however, was much more to his liking, as he shared with our second year workshop, and debuted shortly before our sessions began. 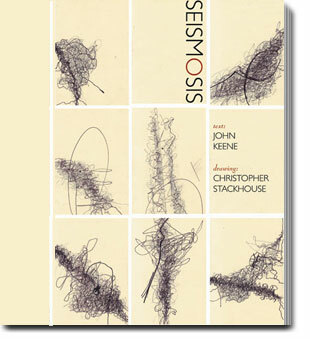 He otherwise never talked about himself or his own work; instead, drawing from his earlier career as an editor at NAL and the Dial Press, he was gentle and generous in his critiques, with a laser-sharp ability to identify what was and was not working about a given text. I think he may have written a few words on our manuscripts, but unlike other writing professors, there was no extensive written or spoken commentary. Yet what he said counted, and I like I learned a tremendous deal from him, about my own work, and about teaching, and I have tried to bring some of those lessons to every class, especially writing workshops, that I've taught. At his death, he was the Loretta and Lewis Glucksman Professor in American Letters at NYU, a position he had held for many years. He also played a key roll, as I recall, in securing the New York Times Foundation fellowship that student writers, I included, held, allowing us not only the opportunity to study at NYU, but to teach writing in the New York public schools. That experience also was one of the best--and at times toughest, but always rewarding--of my life. A writer that I always wanted to meet but never had the opportunity to was John A. Williams (1925-2015). He passed away on July 14 from complications from Alzheimer's disease. I knew that the prolific Jackson, Mississippi native had been a longtime resident of New Jersey--Teaneck, to be specific--but I had not realized until a few years ago that he also a pioneer in teaching creative writing and journalism at Rutgers-Newark, serving as a professor in the English department from 1979 through 1994, when he retired as the Paul Robeson Distinguished Professor of English. This was long before my arrival, but some of my colleagues who had the good fortune to work with him described him in glowing terms, and deeply mourn his passing. As I wrote in a response to a university PR query about him: "John A. Williams was one of the major novelists, and one of the most important African-American writers, to emerge from the generation that came of age in the late 1950s and 1960s. Primarily working in a realist mode, Williams captured and reflected many of the major issues of his day, in a vivid, fluid, accessible style, laced with humor and social critique, that was always more complex—and demonstrated a complex grasp of his subject matter—than it appeared. 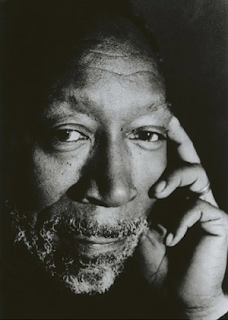 His influence can be seen throughout contemporary African-American prose fiction. His directness in addressing major social and political issues, and his deep interest in African-American history and culture, especially in his marvelous novel Captain Blackman, have been incredibly important to me." Captain Blackman, a 1972 speculative fiction work in which a soldier travels through time from the Revolutionary War era to Vietnam, was one of his triumphs; his final novel, Clifford's Blues (1999), in which he recounts with nuance, empathy and convincing detail the trials of a black gay saxophonist trapped in Nazi Germany, was another high point. Yet his best-known novel and true masterpiece was The Man Who Cried I Am (1967), a fictionalized account of the lives of exiled black writer Richard Wright, that succeeded in also depicting the US's Cold War shenanigans, including the horrifying "King Alfred Plan," a genocidal CIA-directed project which aimed to erase black people from the face of the earth. So convincing was Williams' account that the King Alfred Plan entered black popular consciousness, leading musician Gil Scott-Heron to write a song, "King Alfred Plan," that appeared on his 1972 LP Free Will. Williams grew up in Syracuse, New York, served in the US Navy during World War II, and graduated with a degree in journalism and English from Syracuse University in 1950. Encountering difficulty in pursuing a journalistic career, Williams worked at a series of jobs before moving to New York City, where he found employment as a vanity press publicity director and as information director for an organization promoting African liberation movements, though his desire to write for periodicals hardly abated, and by 1958, he was the European correspondent for Johnson Publications' flagship magazines Ebony and Jet, with later stints at Newsweek and the former Holiday magazines. John A. Williams' first novel, The Angry Ones, appeared in 1960, and he would go to publish 12 in all, including Sissie in 1963 and Click Song! in 1982, which received the American Book Award. The latter novel, like many of Williams' took the measure of racial relations in the US, this time through an acid narrative about the publishing industry. Some 33 years later, Williams' reading of the state of things still holds validity. He also published books in other genres, including the decolonization-era overview Africa: Her History, Lands and People in 1963; the biography The Most Native of Sons: A Biography of Richard Wright, and the more idiosyncraticThe King God Didn't Save: Reflections on the Life of Martin Luther King, Jr., which was sharply criticized; and, in 1991, with his son Dennis, If I Die I'll Stop: The Comedy and Tragedy of Richard Pryor. Quoting again from my statement to the university, I said that "[Williams] was unfortunately underappreciated as a literary figure, but his literary oeuvre serves as an excellent testament to his many talents and gifts. I continue to read and teach his work, and I hope that his passing sparks a renewed interest in one of the most stylistically versatile and critically engaged writers of the 20th century....I mourn John A. Williams’ passing, and I hope more readers and writers will return to the excellent literary trove he has left us." There is much to learn and gain upon delving (back) into Williams' large and often daring oeuvre, and I look forward to doing so as soon as I can. RIP to John A. Williams. July is racing by. I was wondering when the brutal summer heat would finally appear and today, it settled on our doorsteps. I no longer gallivant about in it like I used to; age and health have a way of finally impressing better sense on some of us at least, so I made sure my trips outdoors today were brief. 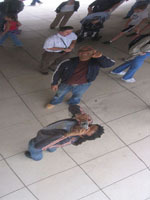 This blog post will be like those trips, brief and full of little snippets. I thank Max Nelson, and invite you to savor his critical acumen and prose, which are quite artful themselves! As an entrant to their annual award, Larry Dark at The Story Prize invited me to contribute a short post about Counternerratives for its blog site, so I tried to think of something I had not yet discussed extensively in interviews or public conversations, but which has come up in reviews. 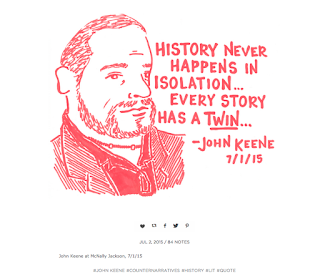 What I thought about was the music of the prose in many of the stories, and here is the link to what I wrote, keeping under the 750-word limit: "John Keene's Hidden Soundtrack." There's more, along with sharp pieces by many others at the Story Prize's blog and website. The book I’m in the middle of is Helen MacDonald’s H is for Hawk, a raw, beautiful, elegiac love story involving a ginormous goshawk. 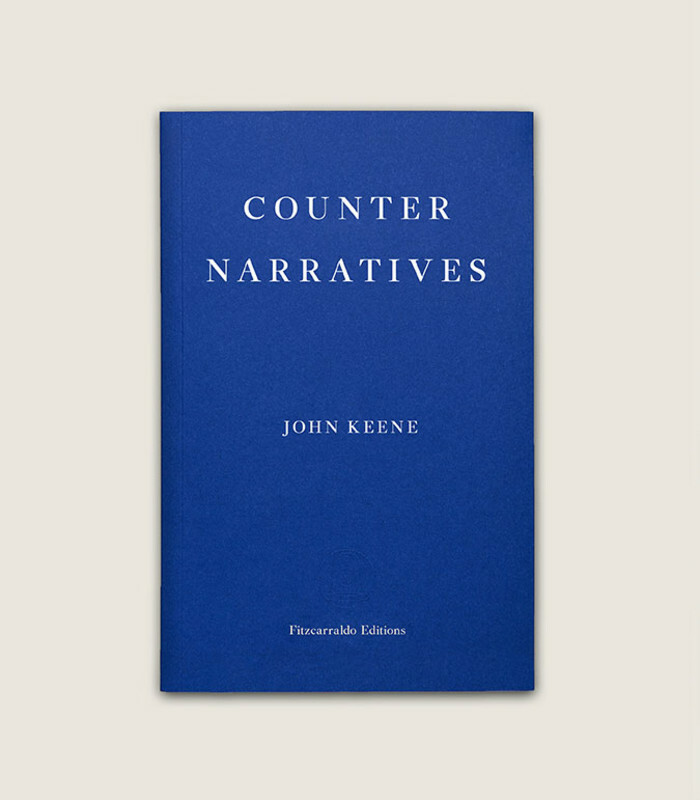 The book I’ll be reading next is John Keene’s collection of stories and a novella, Counternarratives. His first novel, Annotations, blew me away, and Counternarratives looks to be as nimble and strange and awesome. James Baldwin wrote, “The purpose of art is to lay bare the questions hidden beneath the answers” and Keene—and Nelson and MacDonald—do that. I’m very pro-questions these days. Talk about fine company! Many thanks to Maud Casey for the shot out! Some of last week's harvest from the garden. The blackberries are thriving, though smaller than in prior years. All of the other plants are also thriving. Caterpillars are eating the collard greens, so we'll have to find a non-toxic solution to get rid of them. Any suggestions are welcome. More photos from my stint as a Senior Fellow at Image Text Ithaca. You can find out more about this year's excellent program here. I'm currently at Image Text Ithaca, an extraordinary weeklong immersion in art-text collaboration at Ithaca College (organized by Catherine Taylor and Nick Muellner), and have been going nonstop since I arrived, so I haven't had an opportunity to post any thoughts about the experience. But it has been energizing and freeing, in so many ways. I present on two of my projects--I have many more in mind--today. Below are some photos from the week so far. Enjoy! Last night marked the last and final leg of my launch of Counternarratives. At McNally Jackson Bookstore in Manhattan, I read and participated in a conversation with the super-smart writer and Harper's New Books columnist Christine Smallwood. The room was packed, so many friends, colleagues and former students were there, and the dialogue with Christine, whom I'd never met before but am glad to have had the opportunity to chat with, was lively, in no small part because of Christine's excellent questions, and, I hope for those present, entertaining and informative. We also sold a great number of books! Many, many thanks to Alice Whitwham and Valerie Slaughter at McNally Jackson and to the store; to Christine Smallwood again for her extraordinary review of Counternarratives and for participating last night; to New Directions for making the book and this event possible; and to everyone who has supported me in any and every way along the way, including by attending these three readings. I hope to see friends and readers who could not attend at events down the road, and I'll post future reading dates as those firm up (there are several under plan for this fall)! Again, thanks so much! Check out her Tumblr blog for many more readings and writers! More good news on the reviews and book selection front. First, on Flavorwire Jonathan Sturgeon selected Counternarratives as one of its "15 Best Works of Fiction of 2015 So Far"! I will simply quote the entire blurb, which is about as good as these mini-reviews get. 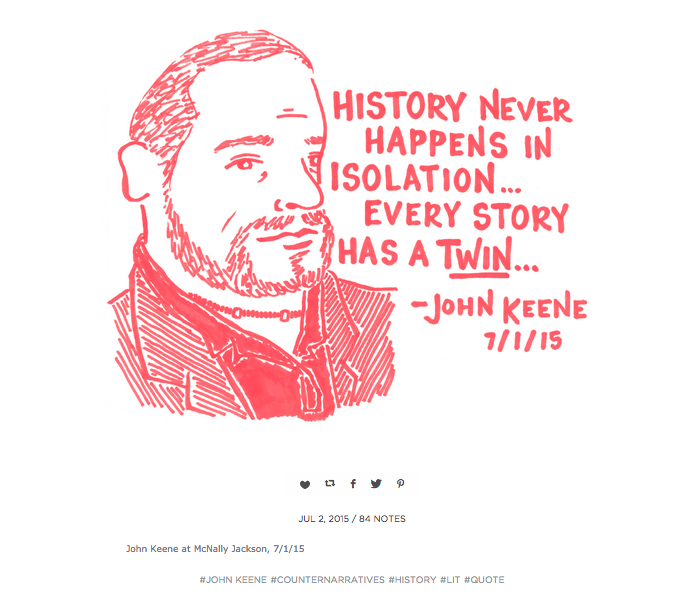 Richly conceived and brilliantly executed, the most original set of fictions to be released so far this year, John Keene’s Counternarratives does for American literature what Alexander Kluge’s fiction has done for German literature — it reopens its future by laying bare its ideological roots. The long narrative “An Outtake From the Ideological Origins of the American Revolution,” which documents the lost story of a runaway slave — as if this story were cut from Bernard Bailyn’s Pulitzer Prize-winning history — is a masterpiece of short fiction. I particularly love the mention of Kluge, who is one of my favorite writers, and whose work I've written about many times and even translated on this blog. He exerts superb control over his stories, costuming them in the style of Jorge Luis Borges as dispassionate archival documents—found diaries, newspaper clippings, obscure scholarly texts; Carmel’s story is literally structured as a footnote to a reference work on early American Catholicism. Yet Mr. Keene preserves the undercurrent of excitement and pathos that accompanies his characters’ persecution and their gropings toward freedom. The book’s post-colonial angle may not be wholly new, but storytelling prowess is something that never grows old. First Kluge, now Borges. That's empyrean company! Last, the exemplary folks at Park Slope Community Bookstore, which hosted my first launch reading, selected Counternarratives for Time Out New York's list of "15 books you should read this summer." Again, fantastic company, with wordsmiths of the highest caliber, including Naomi Jackson (whose debut book The Star Side of Bird Hill just appeared from Penguin), Celeste Ng, Siri Hustvedt, Kamel Daoud, Neil Gaiman, and Ian McEwan. Thanks a gazillion to these reviewers and listmakers! I'll keep knocking on wood, and I ask that you keep reading and telling people about Counternarratives.